'Married at First Sight' is casting in Philadelphia. Desperation, meet your extreme overreaction. Those of you — seriously, I want to know who you are — who are so sick of being single you'd rather just put a ring on it and call it a day, here's your chance. 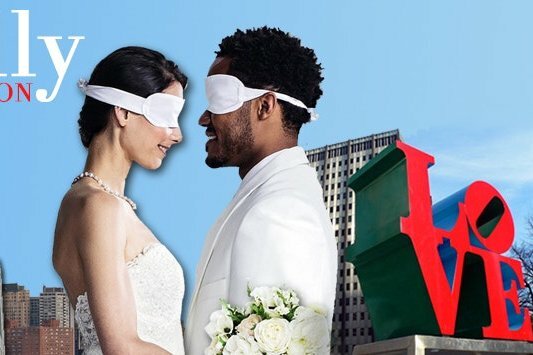 "Married at First Sight" is casting in Philadelphia this summer. The description for the show, which has lasted six seasons and counting, seems pretty self-explanatory from the title. But ponder for a moment: How does it actually work? Is each episode a rapid-fire round inside a church or courtroom, sending newlywed couples in and out like a factory line? ... singles yearning for a life-long partnership agree to a provocative proposal: getting legally married to a stranger the moment they first meet. The couples will not meet until they walk down the aisle and see each other face-to-face, for the first time, at the altar. The series captures each couple’s journey as they go from wedding, to honeymoon, to early nesting, to the daily struggles of working on their marriage. After several weeks together, each couple must make a decision: do they remain together or decide to divorce? The show is casting in Philly from July 7-8 and July 14-16, according to an online application. The application asks, among other things, for you to submit FACE and FULL BODY photos, what your childhood was like, if you've ever been convicted of a crime and for a list of the "top 5 non-physical qualities you look for in a potential mate." You know, the basics. Anyway, as evidenced by my headline, I was initially skeptical of the success rate of these marriages. Just look at this clip from the first season, when the show was on the FYI Network. As you can see, the woman, Jamie Otis (who first appeared on "The Bachelor"), is not exactly thrilled with Doug, the man she said "I do" to after seeing him for the first time. But you know what? It's four years later and they're still together! They even have a kid! And do they do Easter photos together. Easter photos! Unfortunately, not all of the couples end with holiday-themed Instagram posts. While more than half of the couples who have participated agreed to stay together when the show concluded, only three out of 15 total couples are still together, according to a Wikipedia page that's updated by someone with way too much time on their hands. Season 6, which was shot in Boston, is still being aired, so the overall success rate may change slightly before the show comes to Philly. But the odds — surprise! — do not look good if you plan on applying. Counter argument: Dating is awful so why the hell not. Fill out your application here.